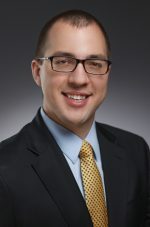 Dr. Zachary Colvin joined the department as a maternal fetal medicine fellow in July 2018. He attended medical school at Chicago College of Osteopathic Medicine at Midwestern University in Downers Grove, IL from 2010-2014. He completed residency at Advocate Lutheran General Hospital in Park Ridge, IL in 2018. Dr. Colvin’s clinical and research interests include hematologic disorders of pregnancy and postpartum opioid use. His previous research investigated prediction of postpartum hemorrhage and preterm labor. Dr. Colvin has a passion for medical education and was awarded the excellence in student teaching award during residency. He enjoys being involved with patient safety and quality projects in order to optimize care. In his spare time, Dr. Colvin enjoys spending time with his wife Natalya, traveling, fly-fishing, and doing Orange Theory.